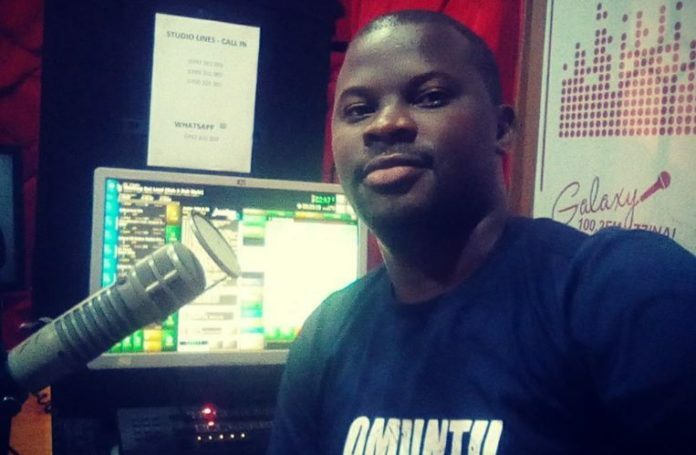 This week Kansanga based urban youth station Galaxy Fm 100.2 was slapped in the face after the exit of one of the right hand presenters Andrew Kyamagero also know “Omuntu wawansi” literally meaning common man. News reaching Flash Uganda Media indicates that Kyamagero who has been hosting the Morning Saga show with Mariat Nasasira and Comedian Dicanio was replaced by a less known Timo who will take on his responsibilities. 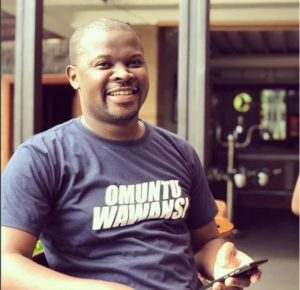 According to reliable sources and the latest Ugandan celebrity news, Kyamagero will be hosting a show called “Omuntu wawansi” a name derived from his slogan he normally uses on different shows and events. The vocal maestro posted on his Facebook page his farewell to his former bosses, fellow employees and his fans saying good bye. I want to bid a farewell to you all my radio fans and inform you that I am leaving my position at galaxy fm 100.2. I have enjoyed working for this company and I appreciate having had this wonderful opportunity to work with the team especially the morning team. During these last three years you all have provided me support and through your encouragement and guidance I have been able to excel at the projects offered…….. I now look forward to this new opportunity that brings forth new challenges and add more diverse experience to my career. I do wish you and the company every success in all its future endeavors. For #Abawansi am coming to you live and direct country wide every morning on @NTV.